I’m not going to lie. Being a new mom is sometimes a lot. Most of the time it’s great, but sometimes I want to run around the house screaming too. From the minute you consider getting pregnant, and start researching what to do to prepare, you’re flooded with don’ts- don’t eat sushi, deli meat, too much fish (but eat some), don’t drink alcohol or caffeine, don’t dye your hair, don’t paint your nails, don’t use acne medication, check your makeup for retinol… on and on and on. At the time, I didn’t think much of the why, but instead focused on diligently remembering the list. I’m not a coffee person, so that was easy, I did all my major drinking in college, I’m on the fence about fish. Makeup was easy to skip, I don’t dye my hair. 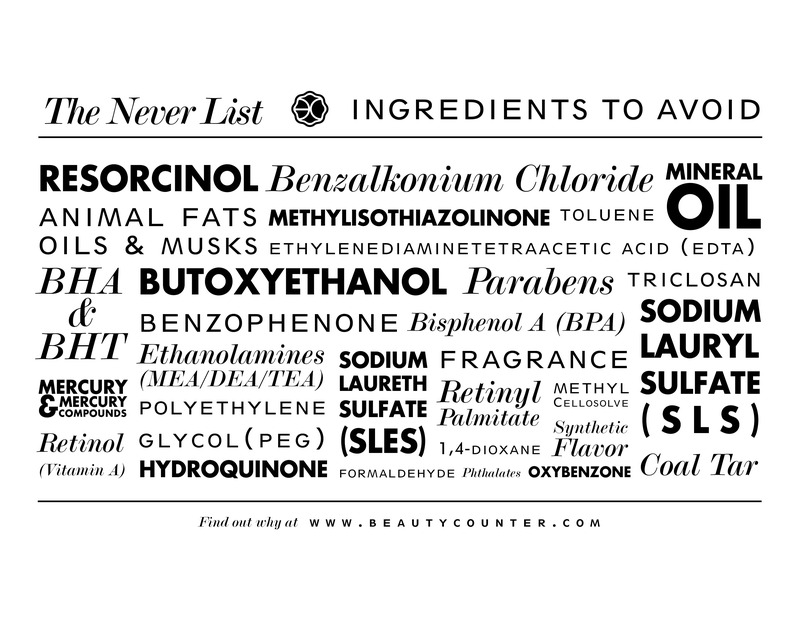 Then one day it hit me like a lightening bolt- if the ingredients in my skincare were bad for my baby, how could they possibly be good for me? Looking back, I don’t know why it took me so long to put two and two together. If something you put on your body could be potentially harmful to your baby who’s several layers away from your skin, what’s happening after you slather on whatever it is that you’re slathering on? I learned a lot from a friend who recently partnered with Beautycounter and from that point couldn’t look at the products in my bathroom the same way. I was also shocked to see how many of those same potentially harmful toxins were in the cute shampoos available for Alice. Babies absorb even more than adults and are even more susceptible to what we expose them to. In a world where we’re supposed to pre-wash all the clothes and bedding we use, it makes total sense that we should be careful about what we use. Luckily, there are great products out there for kids (and adults) that you can confidently buy. Being a mom is hard sometimes, and I’m in no way an expert. Some days, it’s the smallest steps in the right direction that count as progress. Some days it’s a miracles anyone has pants on. By partnering with a company that I can trust to take care of my family’s skincare needs, I can worry about other things. Like keeping Alice from eating rocks.